Forming light waves into a spiral pattern allows multiplexing within fiber cable, adding throughput to traditional networks, researchers say. Researchers reckon they could speed up the internet a hundredfold with a new technique that twists light beams within fiber optic cable rather than sending them in a straight path. “What we’ve managed to do is accurately transmit data via light at its highest capacity in a way that will allow us to massively increase our bandwidth,” Dr. Haoran Ren, of Australia’s RMIT University, said in a press release. The corkscrewing configuration, in development over the last few years and now recently physically miniaturized, uses a technique called orbital angular momentum (OAM). I wrote about this spiral concept a few years ago: Scientists then obtained speeds of 2.56 terabits per second (2,560 gigabits per second) using light-wave signals spun into a corkscrew shape. They found that an open-air experiment they had tried was unwieldly so they migrated the technique to the more manageable medium of radio. There they obtained 32 gigabits per second. RITT, however, says it can now run OAM spirals over fiber and do it economically, in part because it has miniaturized the equipment needed. It claims this will make OAM fundamentally viable and make it usable in conventional, existing data links. Fiber isn’t going anywhere. Even if wireless becomes more important, such as in 5G networks, fiber is still needed for backhaul. The school doesn’t say what speed it has gotten or will obtain other than using the 100x figure. But, in part, it’s a new miniaturization of the equipment that’s the big deal. Previous experiments by various academic teams dating back to at least 2013 have involved larger equipment for transmission and decoding. RITT says the former gear would not have been practical for current telco environments. RITT, however, says the newly shrunken spiraling, speed-inducing equipment is nanoscale. “To do this previously would require a machine the size of a table, which is completely impractical for telecommunications,” Ren says in the release. Interestingly, genetic concepts are behind this innovation. ““It’s like DNA, if you look at the double helix spiral,” Gu said, quoted by the Guardian newspaper in its coverage. “The more you can use angular momentum the more information you can carry.” The receiver then untwists the beams to recover the data. Spiraling becomes another dimension in the fiber, creating the opportunity to encode more data. 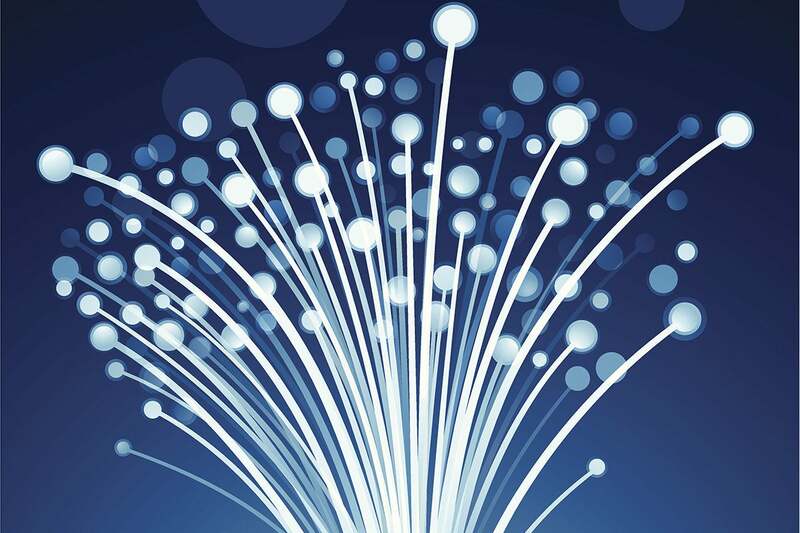 “Multiplexing allows data to be encoded in different modes of light such as polarization, wavelength, amplitude and phase to be sent down the fibers,” the American Association for the Advancement of Science’s Science publication said of traditional fiber maximization methods, in an abstract of an unrelated 2013 OAM study. “OAM can provide another degree of freedom whereby the photons are given a well-defined twist or helicity,” Science said - more data in the pipe at any one time, in other words.